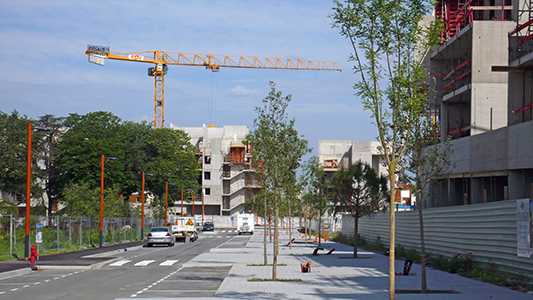 through a close combination of various urban-, building- and dwelling typologies, the balma gramont new neighborhood allows a wide range of life styles and social backgrounds to coexist in a diverse environment, mixing social housing, private sector, retail and office within multifunctional city blocks. 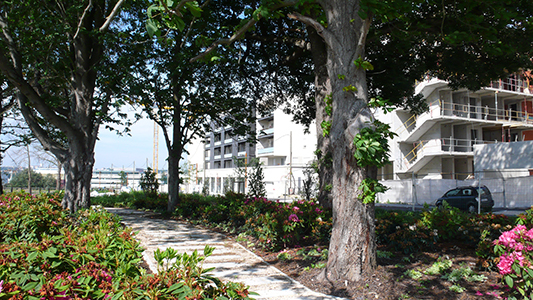 the preservation of pre-existing trees and the storage and infiltration of rain water into street ditches and a sunken public garden offers a pleasant and sustainable living environment, and participate to flood prevention in the whole valley. 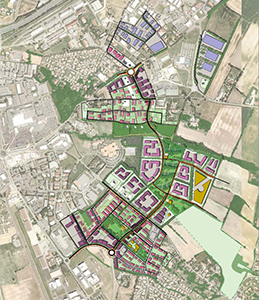 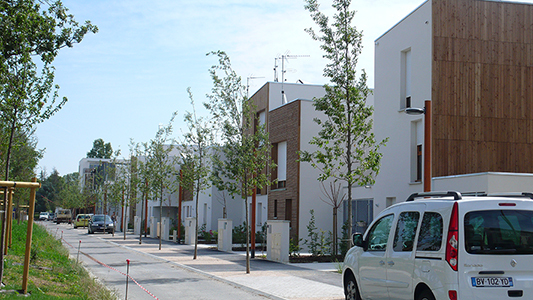 the project was awarded the price for project quality and neighborhood life by the french ministery of ecology, sustainability, transport and housing in 2011.